Flip Out Mama: Thanks, Chex Mix! 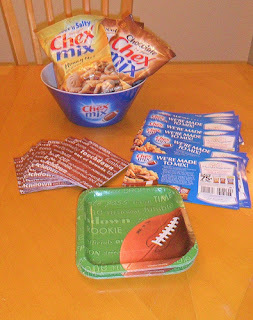 I recently had the opportunity to take part in a Chex Mix Game Day Get Together, sponsored by General Mills. We had a great time eating all the yummy chex mix! I have always liked the original, but this was the first time I had tried the Honey Nut. It is sooo good! I had no idea that Chex Mix had so many varieties either!! We had a little family get together, and the Chex Mix was gone in no time flat! Everybody loved it! 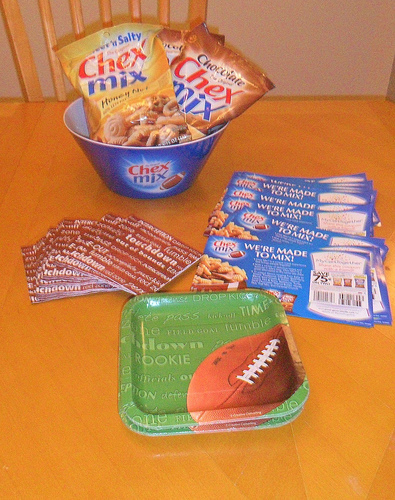 :) A big thanks to General Mills and Chex Mix for letting us host this get together!